We appreciate you taking the time to complete this questionnaire. Your answers will help us better customize your journey with us here at Numerologist.com. As a thanks, we’ve prepared a special gift for you. You can download it below. In a sense, we all live double lives. The one you live by day; the activities, routines and habits that define your outer self, relationships, and career. Then there’s the one you live by night, while fast asleep in your bed; your dream life. Your dreams carry powerful messages and hidden meanings that define your inner self, deepest desires, and important premonitions. Sometimes you remember your dreams vividly, other times they are fleeting wisps of emotion or flashes of seemingly random images, but what do they mean? In this powerful Numerologist report, you’ll get the entire A-Z dream dictionary so you can quickly decode the meaning behind even your strangest dreams. 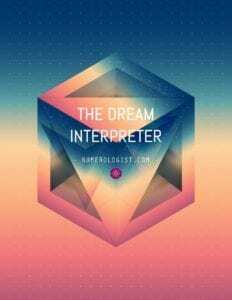 The Dream Interpreter also includes the auspicious meanings behind popular superstitions, like repeating sneezes, ringing ears, and the weather. Fiercely fascinating, this will be a report you refer to every single day.